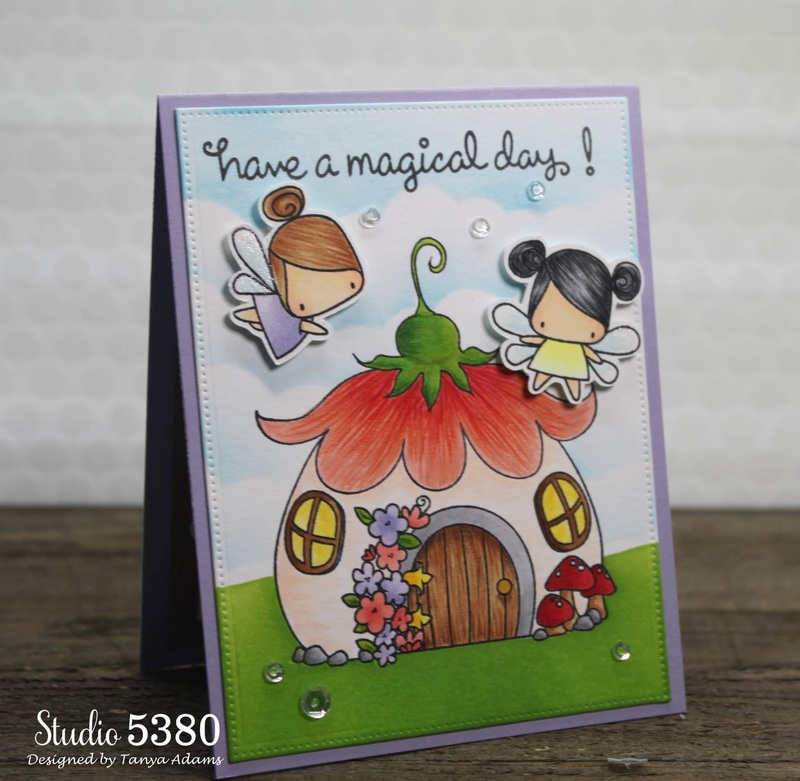 Studio 5380: Have A Magical Day! Welcome to Studio 5380 and thank you so much for stopping by. 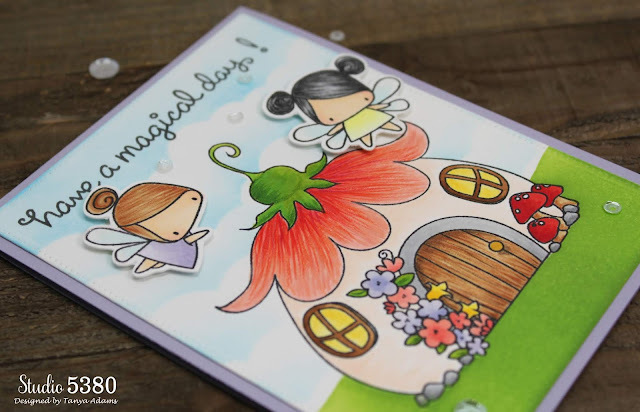 My background was created with the "Little Bits Fairy House" stamp and those adorable fairies are from the "Little Bits Fairy Set". Aren't they cute? I used Distress Inks and the MFT "Mini Cloud Edges" stencil for the background. My sentiment is from the "Fairy Friends" stamp set by Lawn Fawn. My images are colored with Copic Markers and I added a few details with my Prismacolor Colored Pencils. Adding colored pencils to my Copic colored images is also something that I have wanting to try. I definitely need more practice, but so far, I'm liking the results. I finished up my card with a bit of Spectrum Noir Clear Glitter on the fairy wings and a few clear sequins scattered here and there. So, so adorable Tanya! 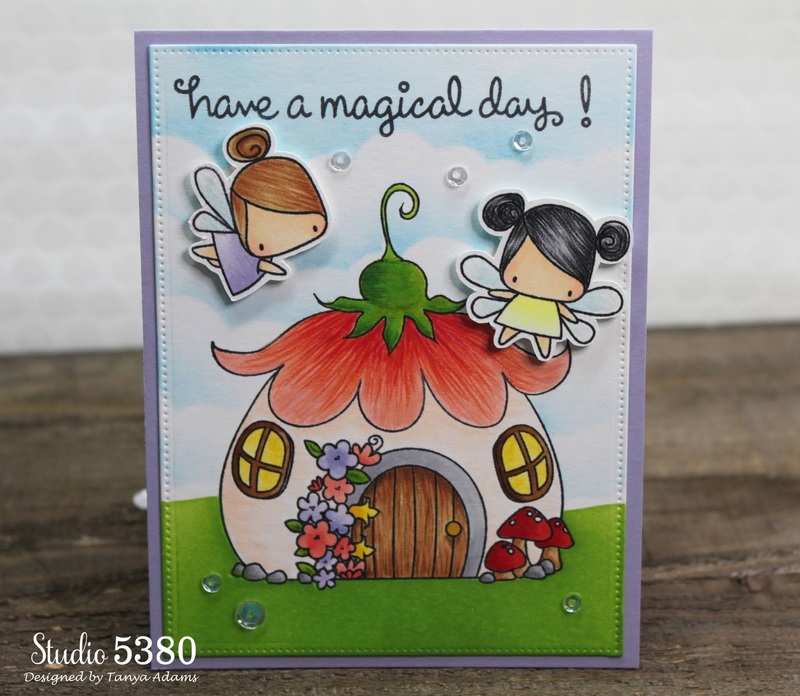 The little fairy house and fairies are so stinken cute! Your coloring is awesome! GREAT job on this! Ooh how SWEET!! This is just the cutest card my friend! I love the fairy's and the sweet flower house.... precious!